Xiaomi Mi Mix 2S VS iPhone X: Specs Comparison. 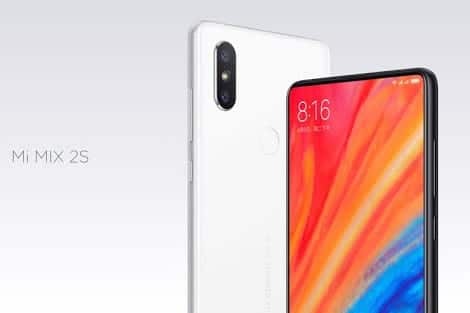 Six month after the release of Xiaomi Mi Mix 2, The Xiaomi Mi Mix 2S was released by Chinese company Xiaomi. According to Xiaomi, the “S” means slight improvement from the Xiaomi Mi Mix 2. The smartphone was released to keep the company in line with its competitors in the market. And one of its competitor will definitely be the Apple’s iPhone X. According to tech pundits, the iPhone X is set to have the biggest impact on Apple’s smartphone direction since 2008. Its a smartphone that has set the pace for other smartphone companies. With some companies manufacturing their phone with the iPhone X themed design. 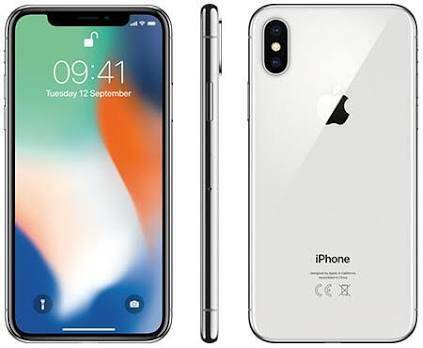 Even Apple called the “iPhone X”, the future of smartphones. So let’s compare these two flagships and see what they have in stock. While most smartphones have either the metallic or glass back, Xiaomi stuck with their usual ceramic back. Which i feel should be adopted by most companies. The ceramic back shines in any condition its in. The Xiaomi Mi Mix 2S comes in a ceramic back and front glass with a metallic frame separating them. While the iPhone X comes with a front and back glass and a stainless steel acting as frame. Xiaomi kept it simple in terms of color choices of Xiaomi Mi Mix 2S. The phone comes in only Black or White body colors. Same thing can be said of the iPhone X in keeping it simple, with just Silver and Space Gray body colors. The Xiaomi Mi Mix 2S at 191 grams is heavier compared to the iPhone X’s 174 grams. The iPhone X offer a very slim and sleek design to the Xiaomi Mi Mix 2S. The Xiaomi Mi Mix 2S is taller, wider and even thicker than the iPhone X. The thickness of the iPhone X is 7.7mm. While the thickness of the Xiaomi Mi Mix 2S is 8.1mm. The iPhone X with an IP67 rating means it can be submerged into 1 metre depth of water for up to 30 minutes. While the Xiaomi Mi Mix2S doesn’t have an IP rating. The iPhone X is ideal for taking pictures inside the pool. The dual rear camera and LED flash of both phones are aligned in the same way. The LED flash is in between the dual rear camera in a vertical position at the top-left corner. The Xiaomi Mi Mix 2S features a rear-mounted fingerprint sensor. While the iPhone X doesn’t have a fingerprint sensor, but instead comes with an elegant Face ID software. Both phones are bezel-less with the iPhone X having a notch which the Xiaomi Mi Mix 2S doesn’t have. No amount of bezel is seen at the top screen of the Xiaomi Mi Mix 2S. The front camera is positioned in the bottom bezel of the screen. The Xiaomi Mi Mix 2S sports a 5.99 inch IPS LCD capacitive touchscreen. That’s protected by Corning gorilla glass 4. The 5.8 inch Super AMOLED capacitive touchscreen on the iPhone X is also protected by a scratch-resistant glass. In display resolution, iPhone X’s 1125 x 2436 pixels with 458 ppi density beats Xiaomi Mi Mix 2S’s 1080 x 2160 pixels with 403 ppi density. Xiaomi Mi 8 Explorer VS iPhone X: is Mi 8 Explorer the perfect clone? In terms of numbers, the rear camera of both smartphones are the same. Featuring a dual 12MP f/1.8 aperture and 12MP f/2.4 aperture. The iPhone X sports a quad-LED dual-tone flash. And the Xiaomi Mi Mix 2S with a dual-LED dual-tone flash. Without testing the rear camera of both phones, it will be hard to tell which one is better. The Xiaomi Mi Mix 2S features a 5MP f/2.0 aperture front camera for selfies. While the front camera of the iPhone X comes with a resolution of 7MP f/2.2 aperture. Under the curtains of Xiaomi Mi Mix 2S is Snapdragon latest version. The Qualcomm Snapdragon 845 chipset. With a Octa-core processor clocked at 2.8GHz. The Xiaomi Mi Mix 2S runs on Android 8.0 Oreo with MIUI 9.5 (Xiaomi’s user interface). While in the background of the iPhone X is A11 Bionic chipset with a Hexa-core processor clocked at 2.39GHz. With an operating system of iOS 11.1.1 that’s upgradable to iOS 11.3. The Xiaomi Mi Mix 2S offers two variants of RAM. The 6GB RAM with either 64 or 128GB ROM. And the 8GB RAM with 256 ROM. The internal storage of the iPhone X is in two variants, 64 or 256GB ROM. Both variants comes with 3GB RAM. Both smartphones features fast battery charging and also wireless charging of Qi standard. The Xiaomi Mi Mix 2S is powered by non-removable Li-Ion 3400 mAh battery. While a non-removable Li-Ion 2716 mAh battery runs the iPhone X. The Xiaomi Mi Mix 2S will be available for about $600 (N210,000). And at around $1,237 (N432,950) for the iPhone X. The iPhone X is double the price of Xiaomi Mi Mix 2S. And they both virtually the same hardware, software and camera quality. The Xiaomi Mi Mix 2S offers better battery life. GearBest |from $53 View Price Offers, Click Here! Jumia Ghana |from GHc159 View Price Offers, Click Here! Jumia Nigeria |from N13,995 View Price Offers, Click Here! Jumia Kenya |from Ksh3,530 View Price Offers, Click Here!